Amino AcidsOlimp Anabolic Amino 5500 Mega Caps - 400 kaps. 96 loyalty points Your cart will total 96 points that can be converted into a voucher of 3,84 PLN. 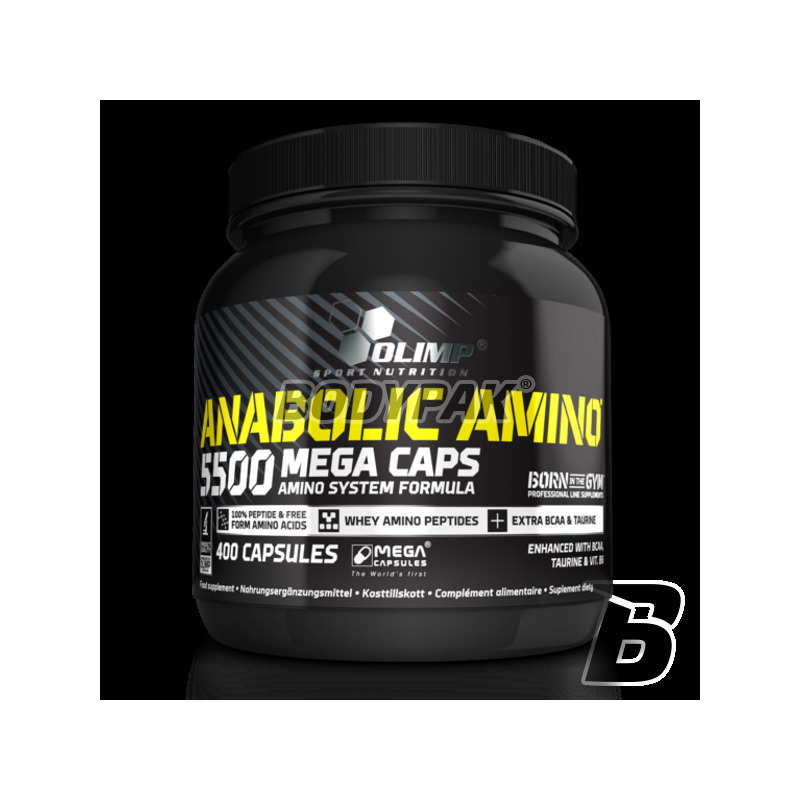 Olimp Anabolic Amino 5500 Mega Caps is a formulation comprising a complex of peptides and free amino acids essential for protein synthesis in muscle cells of the body. Anabolic Amino 5500 contains an additional very large reserve of branched chain amino acids (Lleucyna, L-valine, L-isoleucine) and taurine, compared to the normal amino acids aminogram human protein. Branched chain amino acids approx. 35% of muscular tissue and, therefore, their restoration is of great importance in maintaining nitrogen balance in the body. Vitamin B6 is needed in the metabolic transition of proteins, fats and carbohydrates. 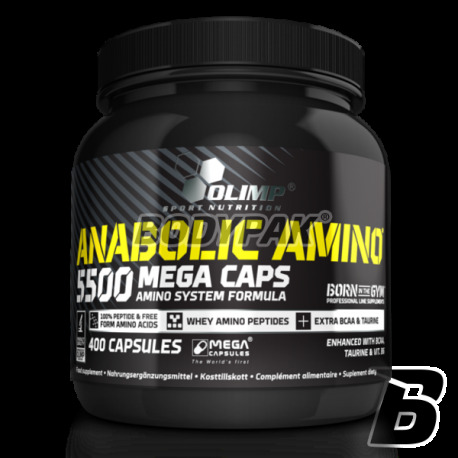 Olimp Anabolic Amino 5500 Mega Caps is particularly recommended for strength athletes building muscle, weightlifting, bodybuilding, marathon runners, wieloboistów and athletes of all disciplines require increased demand of energy. Poprzez wygodę bazuje tylko na jednym źródle białka w ciągu dnia, więc jest to bardzo dobre uzupełnienie aminokwasów w mojej diecie. Jedno opakowanie skończone - zamawiam następne! Trec BCAA G-Force - 30 kaps. The gold standard among preparations based on branched chain amino acids! Not only protects muscles against catabolism, but also supports the resistance (Wellmune). It contains an additive in the form of an extract of Rhodiola rosea and a mixture of electrolytes! Bet on the quality!